I don’t know about you, but I find myself so many times doing things without knowing why but I do it any way. When people ask me this question, my answer is usually because that’s the way I’ve always done it. I confess that in most of these cases I just haven’t taken the time to find out why, if for anything for myself! 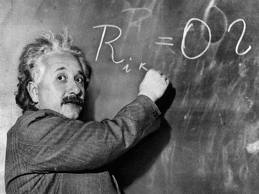 How many things do you find yourself doing with no real idea why you do what you do? I think the reason may be, that we’re just, ‘creatures of habit’; it’s the way we’ve always done it, finding ourselves content and comfortable with it. I believe that’s why God has given to us this neat 31 chapters in this book about how to go about living in this world; revealing His own way on doing things right the first time. My wife and I often take a walk together at the end of the day throughout the neighborhood we live in, and we saw an example of what happens when you go about doing things, without really thinking it out; applying wisdom to our labor of love. Just recently I was sharing with her about the in’s and out’s of painting a house. Since I was just completing a project, the subject was fresh on my mind. Examining the ‘Do’s and Don’ts’ we began to see how important it is to study a matter before you do it. Anyhow, we were passing this house with what appeared to be a cinder-block exterior wall. I pointed out how the paint was bubbling and peeling off. She asked me why it was doing that. I replied that the bare cement blocks should have been water sealed, primed with a masonry primer, and finished with a masonry paint finish. By just applying a latex house paint alone, that wasn’t formulated for this application, the project was doomed to failure, before it was ever applied! Whether we want to believe it or not, we are all involved in a building program. The things we say, the action we take and the thoughts we believe all go into the pot to shape the kind of house we’re constructing. A New Year brings with it a new chance to “remodel” our house if we don’t like the way it looks. 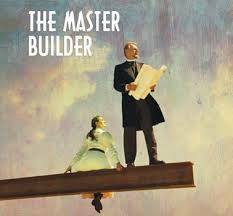 What type of structure are you building with your life and what do people see when they look at the construction? 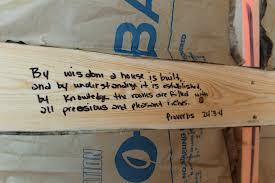 This passage is saying that “through wisdom a house is built”. Ecclesiastes 9:18 tells us that wisdom is better than weapons of war. 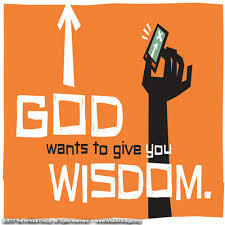 Wisdom was there at the beginning of it all…through wisdom God founded the earth. Proverbs 2:10-12 says that: “When wisdom enters your heart, and knowledge is pleasant to your soul, Discretion will preserve you; Understanding will keep you, to deliver you from the way of evil” ‘Knowledge will fill you with joy; Wise choices will watch over you. Understanding will keep you safe; Wisdom will save you from evil people, from those whose words are twisted. And so, ‘Through wisdom a house is built’…it takes time, its not prefab…its board attached to board, brick laid upon brick, line upon line, precept upon precept. Solomon is simply saying that Wisdom is a requirement if you’re going to build a house and/ or keeping it in good shape, keeping up the repairs. 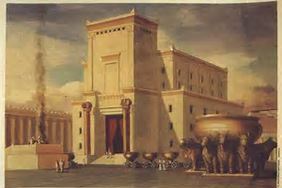 Solomon knew firsthand that you need wisdom to build a house, as he was asked to build a house by his father, David ; whom God Himself, gave the construction plans for the temple in 2 Chronicles 28: 11-12. Being involved in numerous other building projects,Solomon gives his sons a warning to use God’s wisdom in building a house. 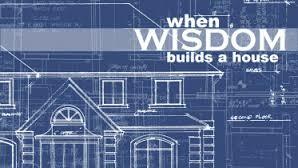 Not only do you need God’s wisdom to build a house; you need His wisdom to Upkeep, or Take Care of your house It takes planning, effort, thought, skill, and understanding to maintain a house. It requires non-stop maintenance… planning and work. You can’t just build a house (or bring kids into the world; or start a business, a school, or a church) and expect that it will run itself… maintain itself and stay in good shape. Upkeep requires ongoing effort, skill, wisdom, and discernment. that sometimes it takes a child to reveal lasting wisdom. It seems foolish but you know what? It isn’t! For example, look at these quotes from children ages 9-14 on their take of what wisdom is to them . Randy, 9 years of age said, “Stay away from prunes.” One wonders how he discovered that bit of wisdom. Sometimes it takes an incident in your life to learn from it. I can still remember when I was driving my first car, one of those older ones where the ‘button’ for the ‘high beams”was to the left of the brake on the floor. Well, I came to KNOW that by experience…you see, as I was driving, an approaching car ahead was flashing his ‘high beams’ towards me. Knowing how to drive the car, I didn’t KNOW where the switch or button was to turn them off. As the approaching car buzzed by me, I looked in my rear view mirror and guess who was coming with red and blue lights flashing? 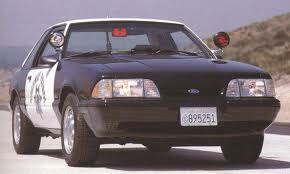 You guessed it, a Highway Patrol! The Officer proceeded to come to my window and advise me that I had broken the law that states, “Failure to dim your lights within 500 feet”. Oh,, I knew ABOUT that law, I just wasn’t WISE enough to know ahead of time where the button was to turn the high beams off. Needless to say, he cited me, (my first ticket) and left me with words of WISDOM I have not forgotten to this day; “Son, ignorance of the law is of no excuse!” I learned that day that having wisdom of the fact of knowing the car had a high beam button, and not being able to find it, was like having an ice cream cone and not knowing what to do with it…. WHAT KIND OF WISDOM IS THIS…. 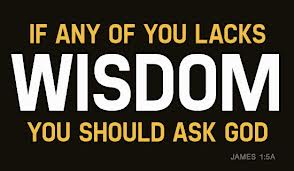 WHAT DOES WISDOM LOOK LIKE? Like the most desired and complete garment one could ever wear. It’s pure, gentle and reasonable. It’s peace-loving, willing always to get along with others. It’s considerate, allowing room for discussion. It’s submissive, Willing to yield to others. It’s full of mercy, overflowing. Full of Good Fruit, known for good deeds. It builds not destroy, never two-faced, showing no favoritism. Finally, wisdom is sincere, Treating each other with dignity, and honor…saying only what you mean. To have the wisdom of God is to say, today I cease to live the life of a Natural Man; living a life incomplete, unfulfilled; in exchange for the characteristics listed above that set you apart from the world, and becomes an example of a person who is doing and saying the right things because their lives reflect who they are inside. 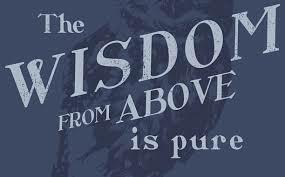 God’s wisdom becomes something of value, worth more than a mink coat, an expensive suit, a mansion on a hill, instead, wisdom is worn like a precious apparel that everyone longs to have. All the things the Natural man desires but cannot attain without God. 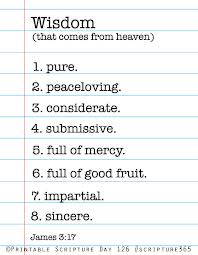 peace-loving, Considerate, Submissive, Full of Mercy, and good fruit, impartial and sincere.….a picture of humility put into practice. 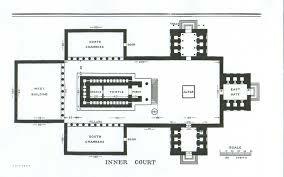 Once the house is built, it needs to be furnished… Solomon is saying that by knowledge all the rooms of the house will be filled. Material possessions are not spoken as evil in the Scriptures; God made everything… The warning is against loving them, hoarding them, being selfish with them, making idols of them. 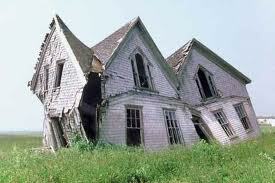 Having a nicely built, well maintained house full of things can be the result of wisdom and discernment. When you see someone with a beautiful, well constructed, well furnished house, don’t assume they have it because they were dishonest and greedy; that might be the case. But, it also could be the result of hard work, God’s wisdom and understanding. God has given Solomon His wisdom to build a physical house, but these truths are even more important as they apply to our lives. Jesus used a metaphor in Matthew 7:24 of building a house on sand or upon a rock to illustrate ones life. In our own lives, as believers, our own lives are referred to in Scripture as being built up, as we learn to apply Godly wisdom in sharing Scripture to those around us, who are feeling sometimes like a broken down house, that was neglected, and not loved. Paul set an example for us by praying for spiritual understanding for the saints. 3. Experience/knowledge of God’s power within us. In closing, building a physical house, a marriage, a family, and a single life can be made easier if we would just humble ourselves before God and confess that we don’t really know it all; and what good things we do know, we received it from God. I know for me, as i was developing this blog, I found myself going back to the Word of God, not only for wisdom of direction and focus, but that I would learn myself how to apply this Proverb into my daily living and interaction with my wife, and those around me. Patty and I have been seeking the Lord lately for wisdom on how to go about doing the things God has been revealing to us. As we pray to understand His will, we are seeing a myriad number of ways He is giving out His wisdom for us; mixing in His perfect timing. It seems that wisdom without His perfect timing can put you in the wrong place either too soon or too late. 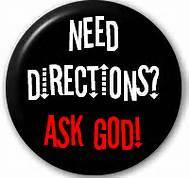 Wisdom and Timing, what a mess we would be if it wasn’t for God doing the hard part, and asking us to do the easy part. 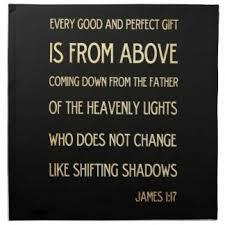 I kind of like this exercise in Godly wisdom! I have discovered that the more I seek God’s wisdom before I do or say anything, I have a great peace and contentment in knowing that: ” Every good and perfect gift is from above, coming down from the Father of the heavenly lights, who does not change like shifting shadows.” James 1;17. As I rely on the Word of God for how to live my life, I will know how to respond to difficulty and circumstances that find their way into my life; ‘sent by God’ to help me develop confidence every time I apply His wisdom.